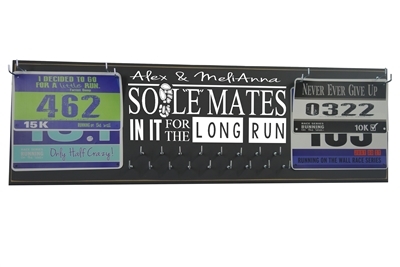 Make our race medal display the gift for running lovers! Running is a love story...but running with the love of your life is something exceptional! 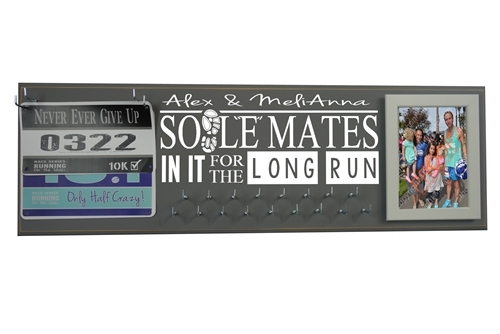 Whether it's Valentine day or any other special date celebrate your love of running and love of loving with this amazing race medal holder. 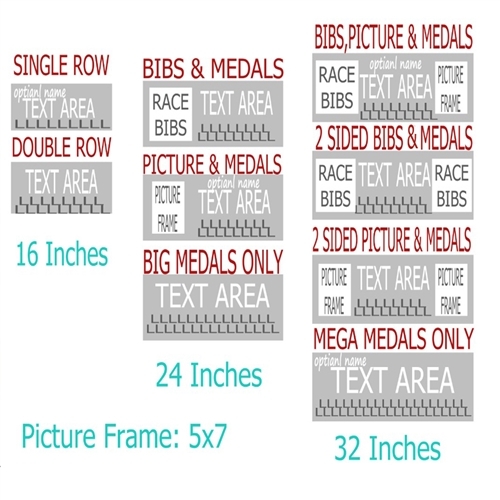 Display all your race bibs and medals together in a beautiful and organize way on any wall of your house. Make your future award hanger match to perfection your soul by choosing your most loved color from our color chart, then select your most wishful size, with or without race bibs and or picture frame. 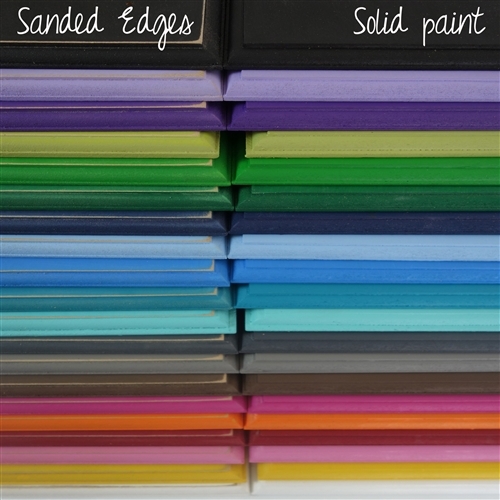 Don't forget to select your athletic board finish also according to your like whether it is a more modern solid painted edges or more distressed sanded edges. 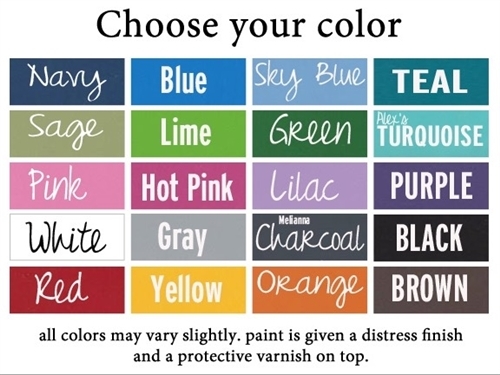 The wording design comes exactly as pictured on the image sample but in your desired size and color. Please type your name in the add your name option if you wish to see both of YOUR name on the board. Otherwise, the board will come with the design shown WITHOUT any names at the top. Romance is never out of fashion just like healthy lifestyle is! 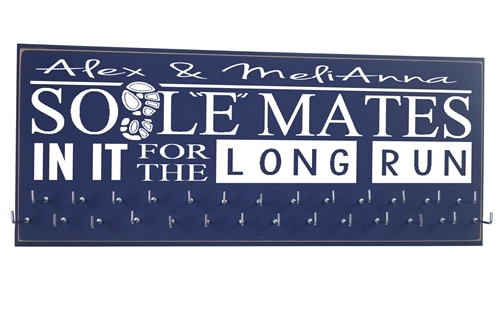 Make this special date of yours stand out with a gift that will go notice for years to come and keep you motivated in the morning to go for your run! Tell your soulmate, sole mate, how much you love her/him. Make this loving day ( Valentine day - Wedding day - First date day...) an amazing event!